You always take pics at the grocery store? Hey Awidmeyer I think that needs to be in the Rose Bowl Parade! That Grocery Store was my jobsite! 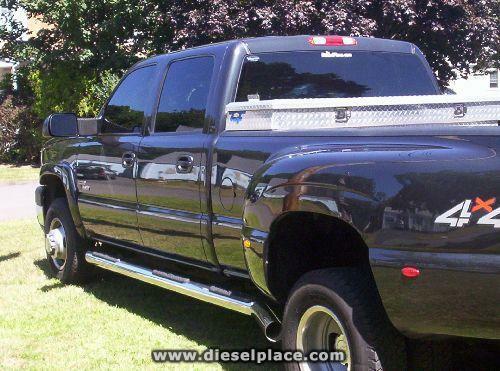 Nice Truck, take a whole week of work to pay for them tires every year! 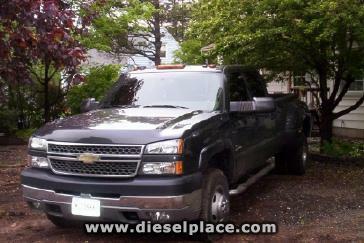 2005 3500 crew cab long box duramax. 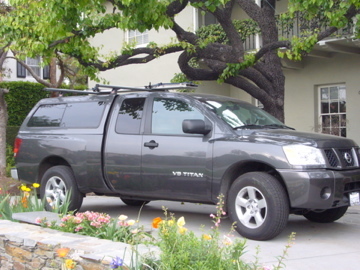 few mods, this was also before my ladder racks. Just picked it up. 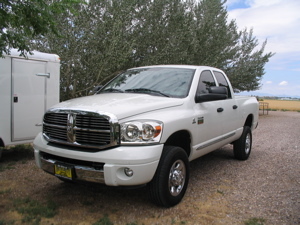 Dodge Ram 2500 Diesel 4x4 Laramie. Life is good! 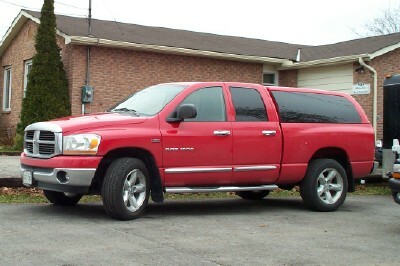 My work-truck (Chevy '03), and my cruising/alternate work-truck (Chevy '00) . . . Thanks, man. I love that truck. We were gone for 5 days and that was the longest I'd gone without driving it. It's FAST! Last edited by RCPainting; 12-10-2007 at 10:49 AM. Balls hanging from a truck are the gayest thing I've seen-well, besides men holding hands.